The Fintech Challenge Vietnam is being organized by the SBV with the support of the Mekong Business Initiative, a program funded by the Government of Australia and the Asian Development Bank (ADB). In addition, the Viet Nam Bankers Association and the Viet Nam Fintech Club are co-sponsors of the program. Program Partners include 7 commercial banks (BIDV, Shinhan Bank, TP Bank, VIB, Vietcombank, VietinBank, VP Bank) as well as FPT, Vietnam Silicon Valley, and VIISA. The program is aimed to spur innovation in financial services that promote greater financial inclusion in Viet Nam. Viet Nam’s financial sector has grown substantially but financial institutions still find it challenging to provide financial services to underserved customer segments including small businesses, rural populations, and urban migrants. The recent worldwide explosion of financial technology (fintech), including in Viet Nam, promises to fill this gap. The focus of the Challenge is on fintech solutions that can improve the offer of financial services to the underserved and unbanked. The Fintech Challenge Vietnam is the opportunity for Fintech companies from both inside and outside of Viet Nam who are interested to collaborate with commercial banks to pilot and scale solutions that improve financial services in the following categories: electronic payments; e-KYC (“Know Your Customer”) / e-Identification; Open APIs; Blockchain; and Peer-to-peer lending to apply. The deadline for application is 18 January 2018 at fintech.mekongbiz.org. Successful Challenge applicants will continue to participate in a two-month long incubation and mentoring program to fine-tune their business models. They will also participate in a competitive “Pitch Session” where they will present their financial technology solutions to a panel of banking industry players, financial experts, and investors. The best solutions will have the opportunity to demo their products and services at the 2018 Vietnam Fintech Day. 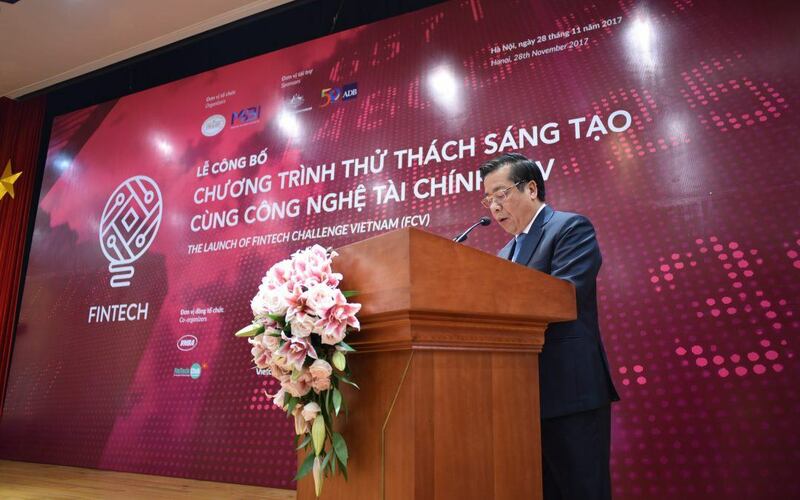 Re the objectives of the Fintech Challenge Vietnam Program, Mr. Nguyen Kim Anh, SBV Deputy Governor, noted: “SBV wants to create an enabling ecosystem for financial innovation that improves access to financial services for Viet Nam’s micro – small- and medium- sized businesses and other underserved populations”. Mr. Nguyen Kim Anh also heads SBV’s Fintech Steering Committee and Working Group, which was formed in March 2017 to promote the uptake of financial technology in Viet Nam. Mr. Eric Sidgwick, ADB Country Director, shared: “The Fintech Challenge Vietnam program will create opportunities for Viet Nam’s commercial banks to engage with Fintechs, and to consider how they might take advantage of the technology and creative new approaches to expand financial services to the unbanked”. SBV Fintech Steering Committee was established in March 2017 for enhancing the ecosystem including a legal framework to facilitate the performance and the development of Fintech in Vietnam. Email: [email protected]; Website: sbv.gov.vn. About the Mekong Business Initiative (MBI) – The MBI was launched in 2015 to catalyze private sector development in emerging Association of Southeast Asian Nations (ASEAN) markets, focusing on Cambodia, the Lao People’s Democratic Republic (Lao PDR), Myanmar, and Viet Nam. The program aims to improve the business-enabling environment in these four emerging ASEAN markets with particular focus on innovation, alternative finance, and business advocacy. It is supported by the Australian Government and Asian Development Bank. On Facebook: MekongBusinessInitiative.